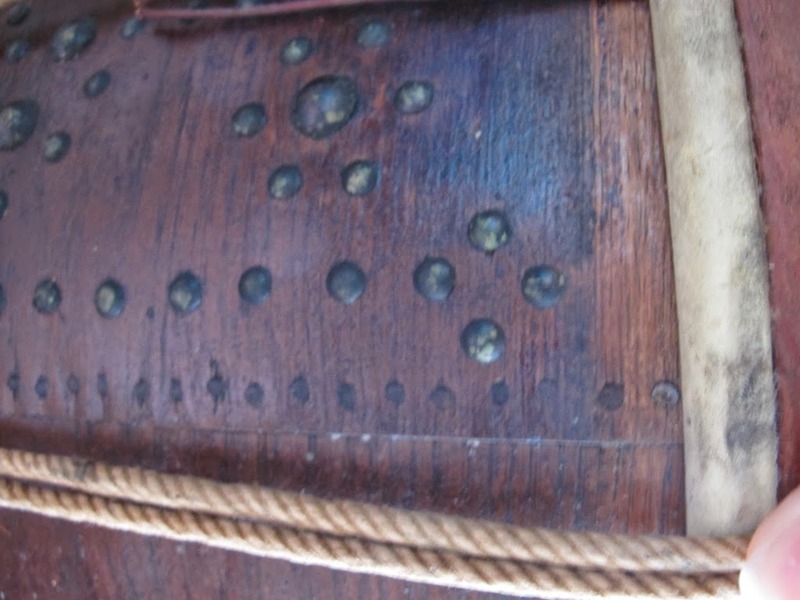 See the traditional "Sturtz" style of drumming that is fading from use in many Ancient Corps. Names Like Frank Moriarty, Frank Arsenault, Hugh Quigley, Jack Tencza, Jack McGuire, Bob Redican to name a few. Note: Sound track is the last time Lancraft competed in the Connecticut Fife & Drum Association as a corps. 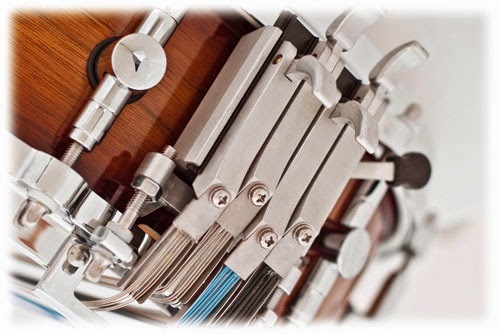 Majestic’s new Prophonic concert snare drums bring innovative technology to the art of snare drum musicianship. 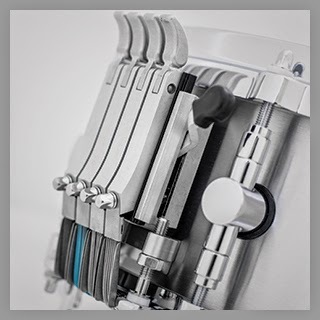 It’s newly designed mechanism allows for the use of up to four different types of snare material simultaneously, each with individual tension adjustment and throw off levers, while still allowing all to be engaged or disengaged together with a master switch. 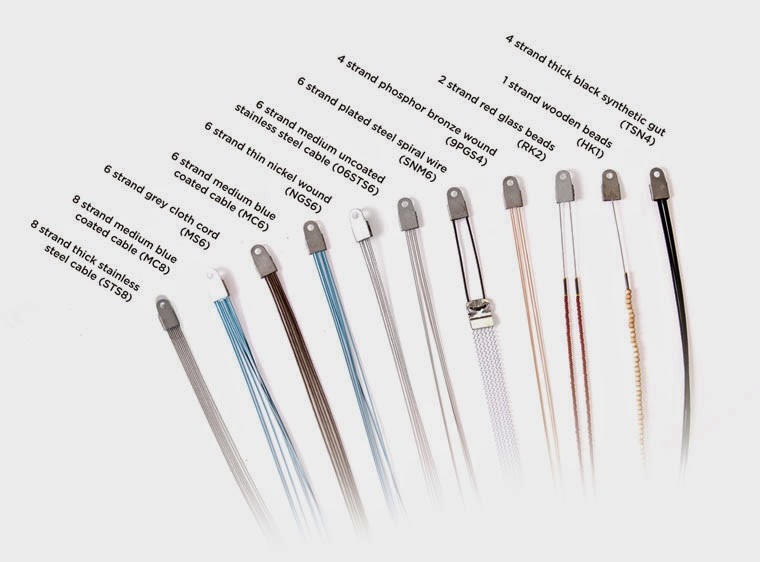 This unique feature combined with a variety of available shell configurations and many options for snare type allow the Prophonic snare drum to be easily configured for a multitude of concert settings. From the largest orchestra hall to the most intimate chamber setting, the Prophonic sets the new standard for the professional classical percussionist. 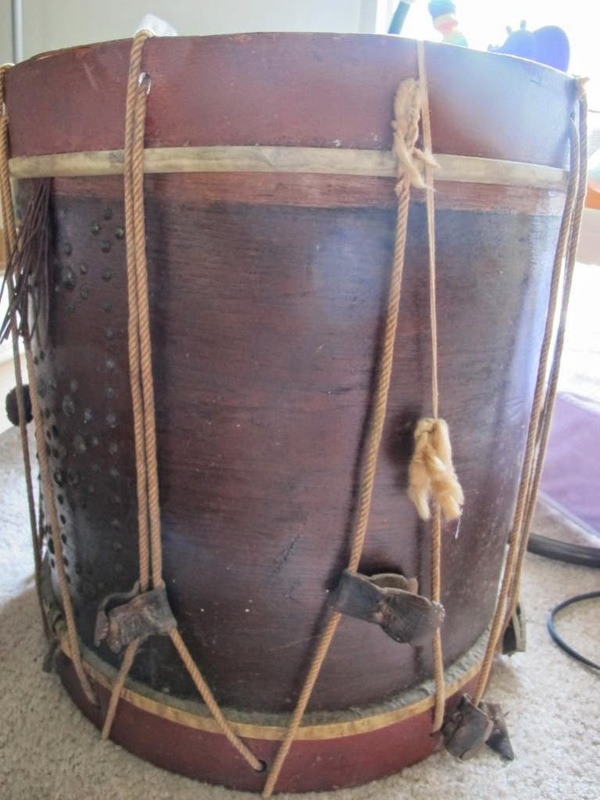 Your husband's grandfather's drum appeared to me to be an American drum from the early 19th Century. 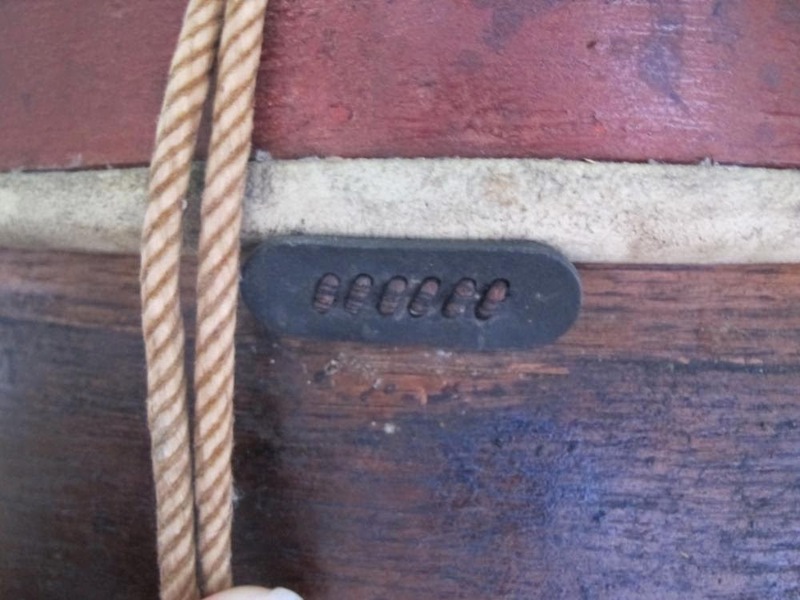 Based on the design features that I could see in the photos, and especially the tack pattern, my initial inquiry was to check to see whether it's a drum by Eli Brown or someone else from the Brown family. 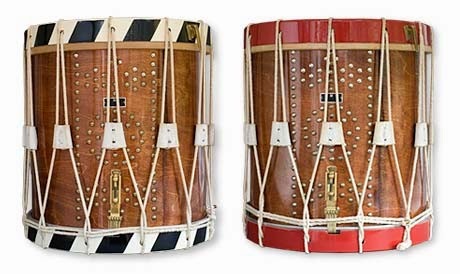 See my blog for a number of articles about Brown drums (http://blog.fielddrums.com/search?q=Brown). You might see a paper label inside the drum by looking through the vent hole. If there's anything visible, please send a photo. 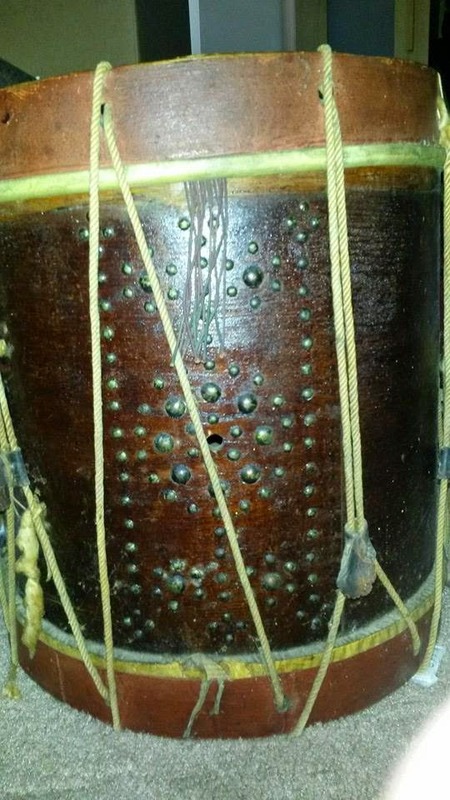 It might give me clues as to the drum's origin. 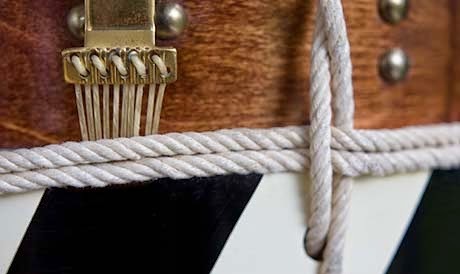 As far as opening or disassembling the drum, leave that to a rope drum expert. Chances are pretty good that if there's any information inside the drum, you'll see it through the vent hole. 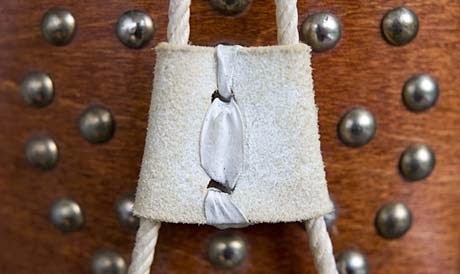 Plus, there's very little chance that you'll be able to reassemble the drum yourself. I can recommend local experts if you provide your area of the country. 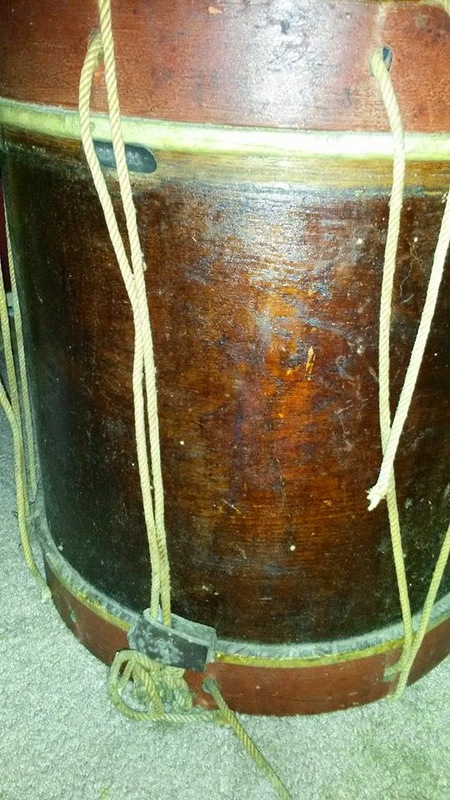 Note: I noticed that the drum appears to have been roped upside down. I did not see any other labels or writing. We live in Milwaukee, WI and appreciate any info you can supply! So fans, do we believe the label? Can anyone shed light on this? Henry Potter was just one of many flutemakers working in London in the middle of the 19th century. Not as famous as Nicholson, Rudall & Rose, Boehm or Pratten, he is often confused with the earlier but seemingly unrelated William Henry Potter. Although Henry died on 31 August 1876, his company continued under his name until 1950. Henry Potter was born in 1810 (the same year as John Clinton) into a family with a solid musical background. Henry’s father Samuel Potter (1772 - 1838) had enlisted in the Coldstream Guards at the age of 14 in 1786, and eventually by 1815 had risen to the rank of Regimental Drum Major. 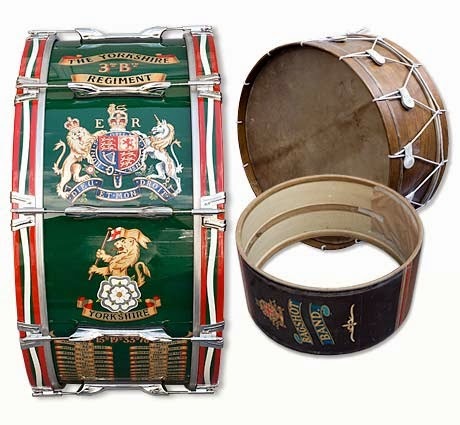 Samuel completed 30 years service with the Guards and resigned from the army in 1817 to set up a workshop located in King Street, Westminster for the purpose of making drums and wind instruments. Samuel seems to have concentrated on instruments with a military band connotation, such as drums, bugles, fifes, horns and trumpets. He actually wrote several published treatises, one being a method for playing the fife (1815) and the other being a manual for drums, fifes and bugles (1817). Samuel’s son Henry (1810 – 1876) presumably learned about instrument making from his father, and continued the business after his father’s death in 1838. By 1841 he was well established as his father’s successor, with premises at 2 Bridge Street, Westminster. He continued in his father’s footsteps as regards the making of military instruments, but appears to have had a strong interest in flute making as well. Clearly he must have quickly built up a good reputation as a flute maker, since otherwise it is inconceivable that John Clinton would have entrusted the manufacture of the early Clinton-system flutes to him, in particular the 1851 Exhibition model. Henry Potter remained in the instrument business all his life, and his company remained active until around 1950. Source: John aka longjohn, Vintage Drum Guru. 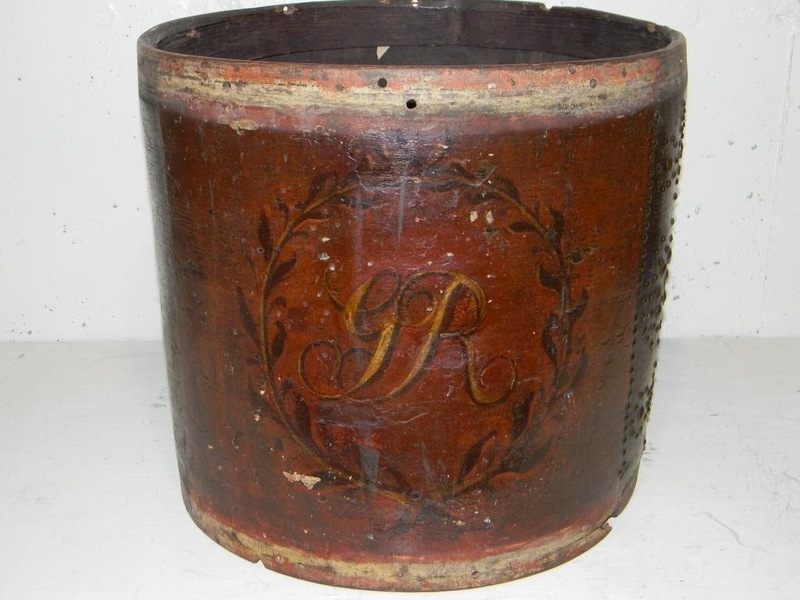 Essentially, the argument that John makes (convincingly) is that a drum bearing the H. Potter label could not have been in existence in 1815 (Battle of Waterloo) because H. Potter (Henry Potter) was born in 1810 and would have been only five years of age in 1815. QED. 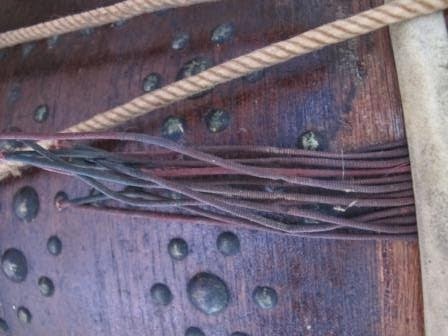 Note, however, that the label could have been applied years after its original manufacture at a time when the drum might have been brought in for repair (the fact that the drum has been disassembled is evident from its being roped upside down, even though an experienced drum repair person would not have done that). 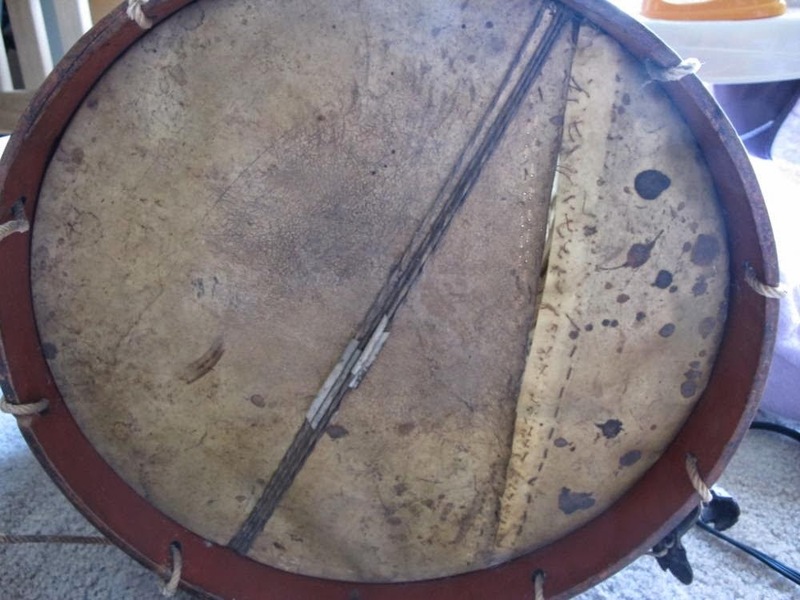 So, it might not be a drum made by H. Potter at all. Rather it might have been repaired by H. Potter well after the Battle of Waterloo. 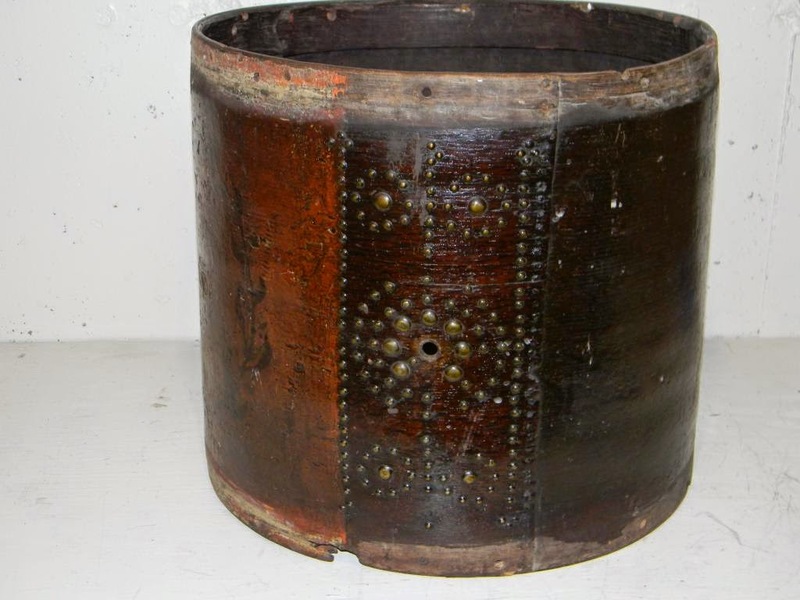 That explanation leaves open the possibility that it was in existence at the time of the Battle of Waterloo, but only if the drum was not made by H. Potter. 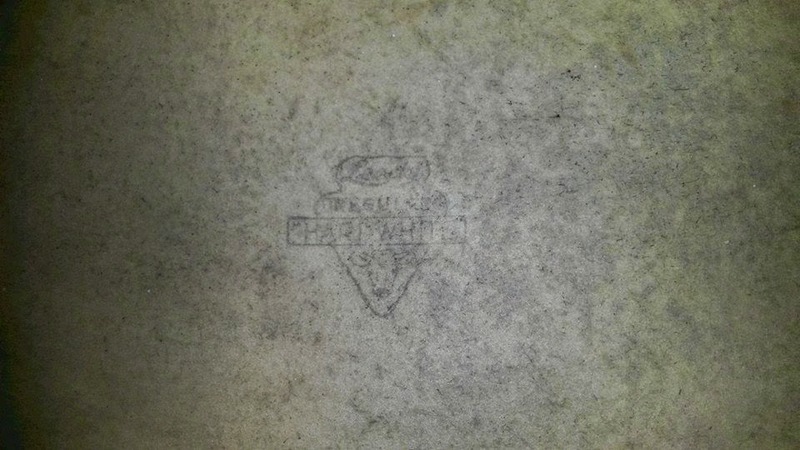 Also, CT Pro Percussion notes in that forum that the Hard White head is a Leedy head from the 1940's (ish), not original to the drum. 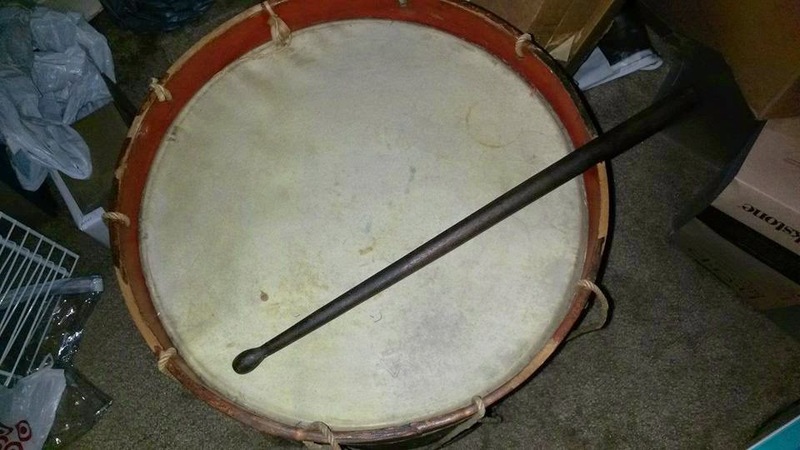 CT Pro Percussion also provided photos of the below drum that he notes came through his shop a few years ago and which has been traced back to the 3rd New Jersey British Militia.